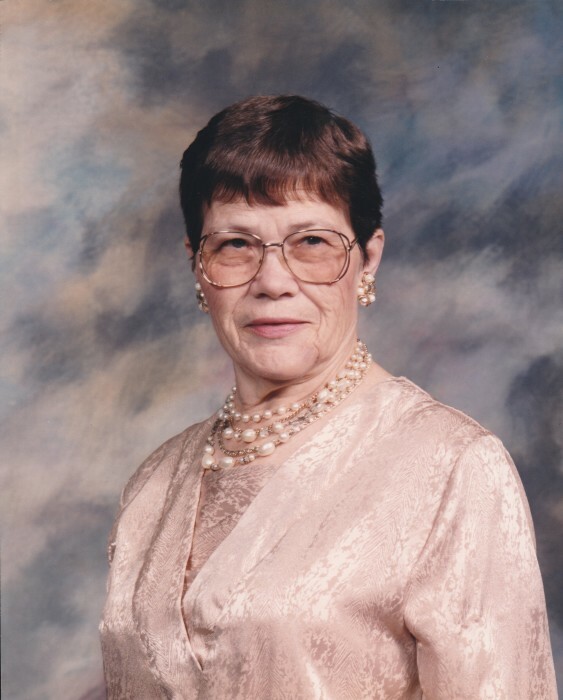 Evelyn Kauger, age 93, of Baxley, passed away Friday, February 8, 2019 at Jeff Davis Hospital. Mrs. Kauger was born September 20, 1925 in Jeff Davis County to the late Martin Luther Dyal and the late Lola Violet Rentz Dyal. She was a member of Kingdom Hall Jehovah’s Witness and was a homemaker. In addition to her parents, Mrs. Kauger was preceded in death by her husband, Serge “Sarge” Kauger and a daughter-in-law, Ellen Kauger. Survivors include her daughters & sons-in-law, Audrey & Robert Allen of Creedmoor, NC, Judy& Kevin Howard of Dallas, GA, Gail & Joel Reynolds of Port Orange, FL, & Phyllis & Mackie Perry of Baxley; sons & daughters-in-law, Donnie Kauger of Morrison, CO, Steve & Maxine Kauger, Keith Kauger, Martin Kauger all of Baxley & Tim & Laura Kauger of Hazlehurst. Fifteen grandchildren, eighteen great-grandchildren & two great-great grandchildren also survive. Funeral services will be held Monday, February 11, 2019 at 2:00 PM in the Chapel of Swain Funeral Home with Bro. Mark Baez officiating. Visitation will be one hour prior to the funeral service.